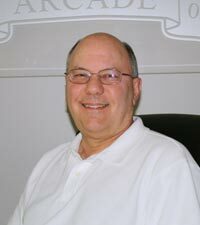 Doug Haynie has served in the Arcade City Government for 14 years, the last 11 years as Mayor. He is a commercial insurance agent with Reeves Insurance Agency. Doug holds a BBA from the University of Georgia with a degree in Risk Management and Insurance. He has been active in the insurance business for the last 34 years. He moved his family to the City of Arcade in 1991. 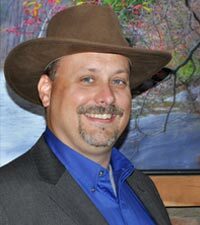 Doug is active with the Jackson County Area Chamber of Commerce where he serves on the Board of Directors. He was a founding Board Member and Past-President of Jackson County Habitat for Humanity. Doug and his wife, Tobie, have two grown children, Zach and Kristin. Cindy and her spouse Mack have been Jackson County residents for 17 plus years. They have 3 grown sons and 5 grandchildren. 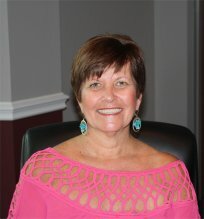 Cindy has been in the banking industry for 30 years and currently holds a position with Northeast Georgia Bank. She has been involved in various community and civic organizations and is well known for her positive, can do attitude. 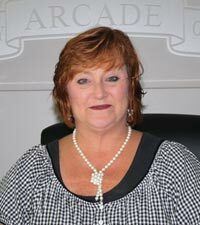 She takes her responsibility as an Arcade City Council Member very seriously and is dedicated to making Arcade a great place to live, work and play. Shane and his family have lived in the city of Arcade for six years now. He served in the Arcade Planning Committee for most of those six years prior to being elected to City Council. 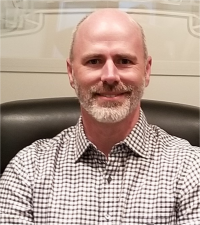 Shane, an entrepreneur at heart, is the owner of Design Logistics Incorporated, which he founded 16 years ago. Design Logistics is a white-glove furniture installation service and works with prominent interior designers in the design field. Shane and his wife, Jessica, of 16 years, have two young children together. Shane loves to serve his community whenever possible and he is a strong believer in the principles of good, honest hard work. Ron is a Georgia native and a resident of Arcade since 1993. He and his wife, Karen, have two grown children and one grandchild. Currently he is serving Arcade as Mayor Pro-Tem; Chairman of the Legal Committee; and member of the Police Committee and has been on the Arcade City Council for 13 years. Ron has a BBA in Accounting from Georgia State University and is employed as a Controller for an aircraft parts manufacturer in Athens, GA. Along with 45 years experience in the manufacturing industry, Ron also served in the U.S. Army as a sergeant attached to a combat engineering battalion from 1969 to 1971. Tom Hays was born and raised in Paris, TN. A graduate of Henry County High School he went on to receive a Bachelor of Science degree from Murray State University in Journalism, Radio and Television Production with a minor in Advertising. After graduation from Murray State, Tom went to work for a television production company as a cameraman and producer for "The Great American Outdoors with Ron Shearer", "Fishin' with Orlando Wilson" and "Fishing with Roland Martin" which aired on the Nashville Network (now known as Spike TV). Tom went to work for Comcast in 1993 where he is still employed as a Senior Area Engineer for the Southeast Division. 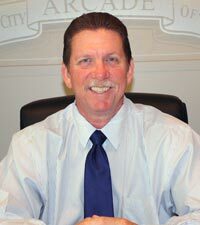 Tom Hays moved to Arcade in 1998 and was appointed as an Arcade councilmember in 2000 and has been elected to this position since then. He is very active in the community as a part of GACHIP (Georgia Child Identification Program) which provides free ID packets to parents in our community. Tom is also a freemason and member of Unity Lodge #36 in Jefferson. He is also involved as a Habitat for Humanity volunteer in Jackson County and attends Crossroads of Jackson County church. Debbie Gammon has lived in the city of Arcade, GA for twelve years. She has been employed with the Jackson County School System for eighteen years and H&R Block for the past six years part-time. In the Arcade Community she is a member of the Citizen SPLOST Committee and attends Crossroad Baptist Church. Debbie earned her Business Administration Education degree at Murray State University, Murray, KY.
Community involvement is one of her primary goals. Volunteering on various civic committees has enabled her to stay involved in and informed about the community she calls home!